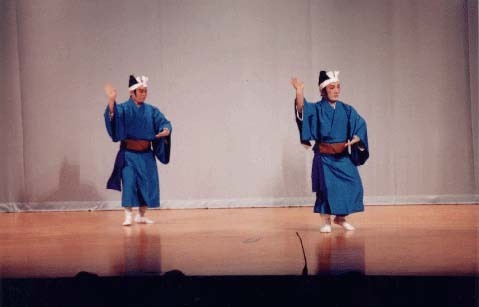 This young man's dance is performed with a "zei" int he right hand, to celebrate the peace era. Lyrics express "warding off the bad spirits". It was popular between the Ryukyu Kingdom and Meiji eras. Copyright 2000 All rights reserved. Any duplication or publication without permission is strictly prohibited.